Merck KGaA has announced several senior personnel changes at its pharma division Merck Serono. The changes are led by former Merck Serono chief operating officer Belén Garijo's (pictured) appointment as president and CEO. She replaces Stefan Oschmann who is to focus on a wider group role as a member of the board and head of pharmaceuticals at Merck, developing the business of Merck Serono, Merck's consumer health and biosimilar businesses and the immunotherapy subsidiary Allergopharma. Oschmann commented that the changes are part of Merck's restructuring plans announced two years ago, which include the loss of thousands of jobs and the closure of its headquarters in Geneva, Switzerland. 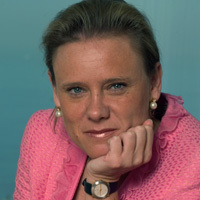 Garijo joined Merck Serono as chief operating officer in 2011. She had previously served as senior VP, global operations region Europe at Sanofi. During her time at Sanofi, she also took on the role of global integration leader for the company's acquisition of the biotech Genzyme. Other changes announced by Merck include the appointment of Dr Annalisa Jenkins as head of global research and development. She was previously head of global development and medical. The company also named Thierry Hulot as head of biosimilars on an interim basis following Jim Stewart's promotion to chief information officer.